Donate a classroom pack to a school in a disadvantaged part of the World. Now is your chance to receive a pack of 30 comics for your school, homeschool group, club, or just to share with your friends! We will also send a classroom pack to a school in a disadvantaged part of the World. The schools we donate to are selected by our international education partners Universe Awareness, IAU Office of Astronomy for Development and Astronomers without Borders. 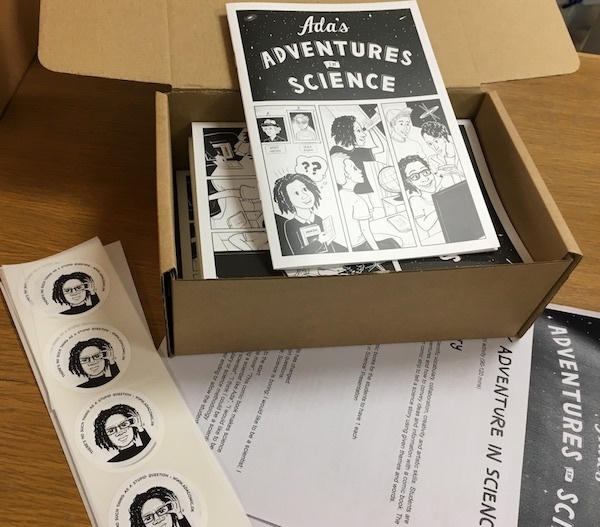 Any donation will help us to send copies of Ada’s Adventures in Science to schools around the world.